The Bank of England is warning that if Britain leaves the European Union with no deal, the result could be the deepest recession Britain has experienced in nearly a century with the economy shrinking by 8 per cent within just months, and unemployment and inflation soaring. The Bank of England is warning that if Britain leaves the European Union with no deal, the result could be the deepest recession Britain has experienced in nearly a century, with the economy shrinking by eight per cent within months and unemployment and inflation soaring. The stark projection came on the same day the government's own economists said the country will be poorer after Brexit than if it had stayed in the EU, no matter what sort of trade deal it secures with the bloc. May says that if Parliament rejects her deal, Britain could be headed for an economically disruptive "no deal" Brexit on March 29. England's central bank said that in a worst case scenario that could mean Britain's economy slumps far more than it had after the 2008 global financial crisis. It predicted that in a no-deal scenario — with tariffs and other trade barriers, and no transition period to help businesses adapt — inflation would rise to almost 7 per cent, unemployment would soar to 7.5 per cent from 4.1 per cent now, the pound would fall to near parity with the U.S. dollar and house prices would fall 30 per cent. 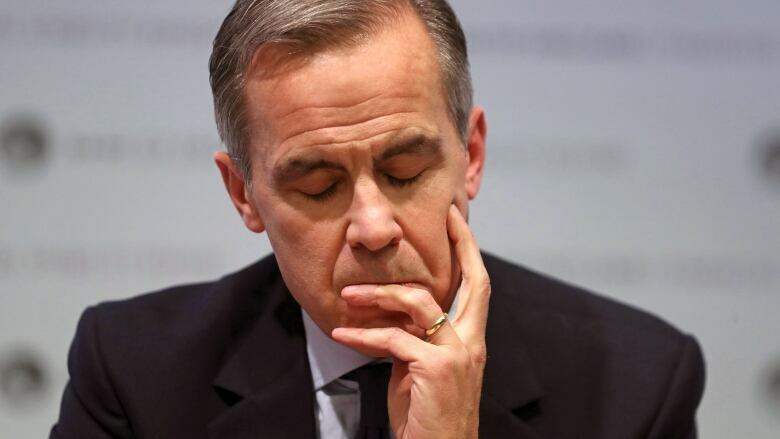 "Our job is not to hope for the best but to prepare for the worst," said Bank of England Governor Mark Carney. The central bank said that in the worst-case scenario, the economy would end up being between 4.75 per cent and 7.75 per cent smaller by the end of 2023 than in its most recent forecasts this month. And compared with the path projected before the June 2016 Brexit referendum, the bank said the economy could be 10.5 per cent smaller. However, it said a strong trade deal with as few frictions as possible would mitigate the negative impact, especially if it is accompanied by a transition period to let businesses adapt. May's agreement with the EU has factored in a transition period through the end of 2020 that can be extended. If Britain retains a "close economic partnership" with the EU, the bank said the economy will end up between 1.25 and 3.75 per cent smaller by the end of 2023 compared with the trend growth rate registered before the Brexit vote. A separate assessment put together by a number of government departments estimated that 15 years from the day of departure, GDP will be 0.6 per cent lower than it would have been if Britain had stayed in the EU — if the U.K. maintains frictionless trade with the bloc. If it leaves without a deal and there are significant barriers to trade, the economy would shrink as much as 9.3 per cent. It did not analyze the specific deal agreed upon between Britain and the bloc last week. But it estimated that under similar terms, involving no tariffs but some non-tariff barriers to trade, the economic hit would be at the lower end of the range — a decline in GDP of between 2.5 per cent and 3.9 per cent compared with staying in the EU. 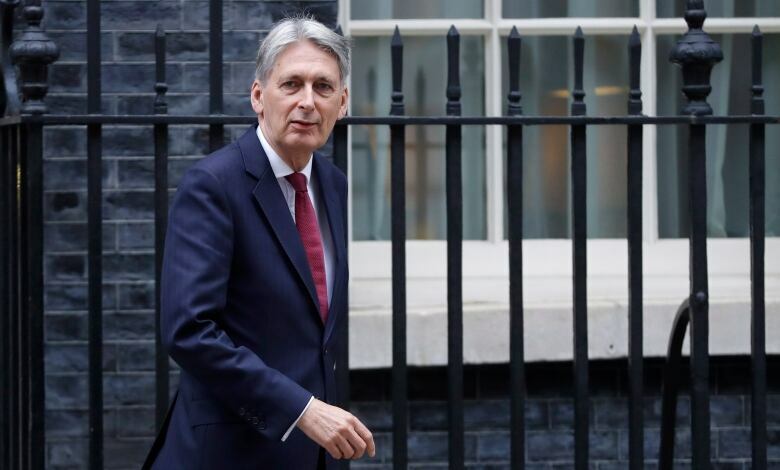 But he said the deal agreed on between the British government and the EU, which calls for continued close economic ties, would minimize the economic damage. Supporters of Brexit argue that leaving the EU will bring benefits that such forecasts do not show, such as the power to control immigration and to strike new trade deals around the world. 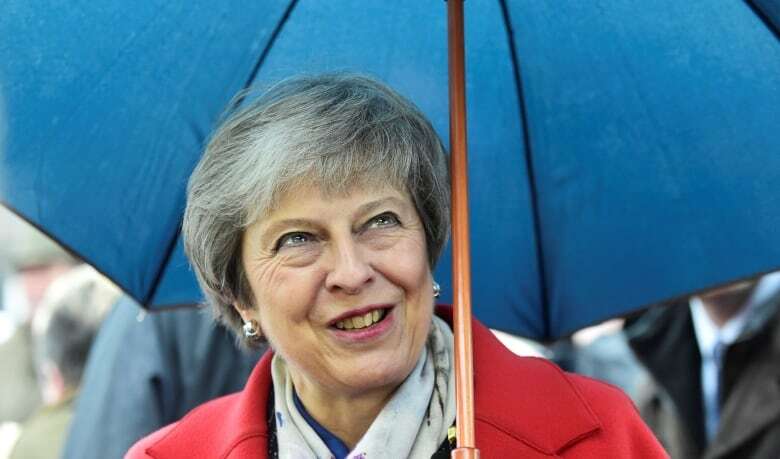 May said the agreement "is the best deal available for jobs and our economy, that allows us to honour the referendum and realize the opportunities of Brexit." She added that "this analysis does not show that we will be poorer in the future than we are today." The government assessment says new trade deals would do little to offset the economic damage done by Brexit. It estimates that deals with the United States, China and other countries would add only 0.2 per cent to GDP after 15 years. The government also says public sector net borrowing will increase under all scenarios, from a modest 1.3 billion pound ($2.2 billion Cdn) rise with a frictionless trade deal to an increase of 2.4 per cent, or 119.1 billion pounds ($201 billion Cdn), under a "no deal" Brexit. Lawmaker Ian Blackford of the opposition Scottish National Party said May's "head is in the sand" about the impact of Brexit.